What Happens to Your Pay During a Shutdown? As the threat of a government shutdown again looms at the end of the week, many federal employees are probably wondering what it will mean for their paychecks. The Office of Personnel Management has provided guidance on what happens to your pay in the event of a shutdown furlough. The information provided here is from the latest available guidance, last updated by OPM in September 2015. What About Retired Federal Employees? Please see our other article summarizing what federal retirees can expect in a partial government shutdown: Will I Still Receive My Annuity Payment in a Government Shutdown? One of the key questions federal employees are likely to ask is, “Will I be paid if I am furloughed?” The answer to this is that it is up to Congress to provide pay for the furlough period. Legislation has already been introduced in Congress to pay federal workers in the event of a shutdown. In the last partial shutdown, furloughed employees were ultimately paid. There was a lawsuit filed, however, over delaying pay. Federal employees involved in the class action suit were ultimately awarded back pay. The guidance below is taken from the Office of Personnel Management’s Guidance for Shutdown Furloughs. The complete document is included at the end. A. In the context of shutdown furloughs, the term “excepted” is used to refer to employees who are funded through annual appropriations who are nonetheless excepted from the furlough because they are performing work that, by law, may continue to be performed during a lapse in appropriations. Excepted employees include employees who are performing emergency work involving the safety of human life or the protection of property or performing certain other types of excepted work. Agency legal counsels, working with senior agency managers, determine which employees are designated to be handling “excepted” and “non-excepted” functions. See https://www.opm.gov/policy-data-oversight/pay- leave/furlough-guidance#url=Shutdown-Furlough for copies of OMB and DOJ issuances, which provide guidance on the application of these criteria. Will excepted employees be paid for performing work during a shutdown furlough? If so, when will excepted employees receive such payments? A. Agencies will incur obligations to pay for services performed by excepted employees during a lapse in appropriations, and those employees will be paid after Congress passes and the President signs a new appropriation or continuing resolution. Will employees receive a paycheck for hours worked prior to a lapse in appropriations? A. Under Office of Management and Budget (OMB) guidance issued in 1980 (below), employees will receive this paycheck. Although the payroll for the last pay period before the lapse will be processed potentially during a period of furlough, the minimum number of payroll staff necessary for this process will be excepted from furlough for the minimum time required to issue the checks, including checks for the last pay period before the lapse. This guidance can be found in OMB’s August 28, 1980, Bulletin No. 80-14, Shutdown of Agency Operations Upon Failure by the Congress to Enact Appropriations, paragraph 3.b. (1) (Appropriations and funds). OMB has reviewed and concurs in this answer. When an employee’s pay is insufficient to permit all deductions to be made because a shutdown furlough occurs in the middle of a pay period and the employee receives a partial paycheck, what is the order of withholding precedence? A. Agencies will follow the guidance on the order of precedence for applying deductions from the pay of its civilian employees when gross pay is insufficient to cover all authorized deductions found at https://www.chcoc.gov/content/ppm-2008-01-order-precedence-when- gross-pay-not-sufficient-permit-all-deductions. May an excepted employee be permitted to earn premium pay (e.g., overtime pay, Sunday premium pay, night pay, availability pay) during the furlough period? A. Yes. Excepted employees who meet the conditions for overtime pay, Sunday premium pay, night pay, availability pay and other premium payments will be entitled to payment in accordance with applicable rules, subject to any relevant payment limitations. Premium pay may be earned but cannot be paid until Congress passes and the President signs a new appropriation or continuing resolution. Are agencies required to pay performance awards to Senior Executive Service (SES) career appointees during a shutdown furlough? A. No. The applicable law (5 U.S.C. 5384) and regulation (5 CFR 534.405) do not specify when an SES performance award must be paid to a career appointee, nor do they provide a basis to pay awards when no appropriated funds are available for that purpose. Therefore, if a shutdown furlough intervenes, an agency may defer payment of SES performance awards until after the furlough, when funds are available. May agencies deny or delay within-grade or step increases for General Schedule and Federal Wage System employees during a shutdown furlough? Will an employee “exempt” from furlough be paid for a holiday that occurs during a shutdown? A. Employees are “exempt” from furlough if they are not affected by a lapse in appropriations. As such, an “exempt” employee will be paid for a holiday according to the normal rules governing holidays. 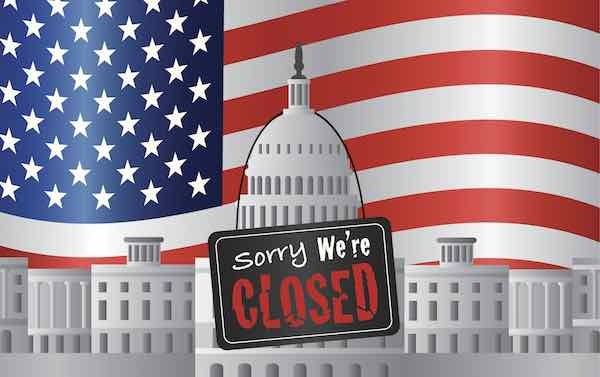 Will furloughed employees be paid for a holiday that occurs during a shutdown furlough? A. Furloughed employees will not receive pay for a holiday that occurs during a shutdown furlough unless authorized by subsequent legislation. Will I Still Receive My Annuity Payment in a Government Shutdown?